Many have tried, but no one has yet successfully sold a massive number of plug-in work trucks. VIA Motors, Bright Automotive, Phoenix Motorcars. These are just some of the companies that once had an idea to turn a fleet manager's desire to save money into lots of electrified commercial vehicle – truck or van – sales. 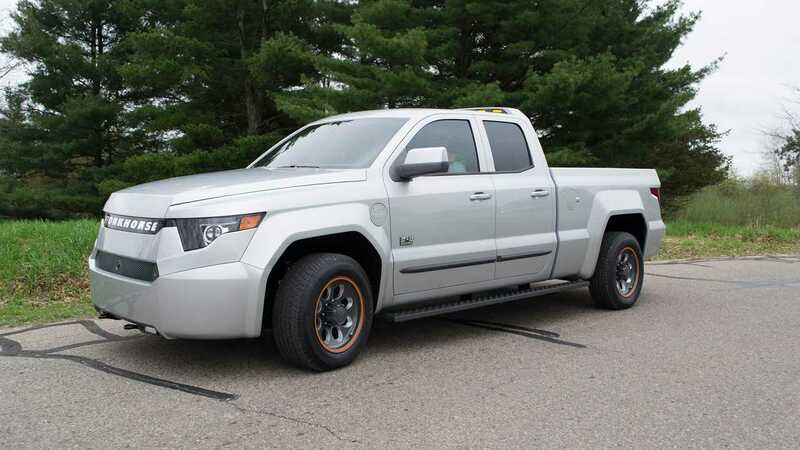 Many concepts have been built and tested and small test fleets have been driven around, but none of these plans have turned into tens of thousands of all-electric or plug-in hybrid pick-ups being put to use by contractors across the country. But now there is renewed interest in this idea. Ford has announced a non-plug-in hybrid F-150, but the obvious big player here is Tesla, which is working on an all-electric truck. 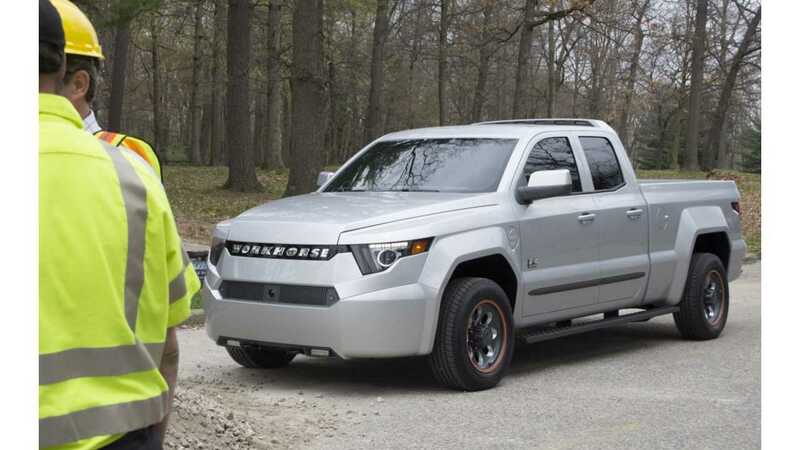 There's another company that thinks it's high time we have some plug-in pick up options, and it's one that's been working on this mission longer, perhaps, than any other still in business: Workhorse. 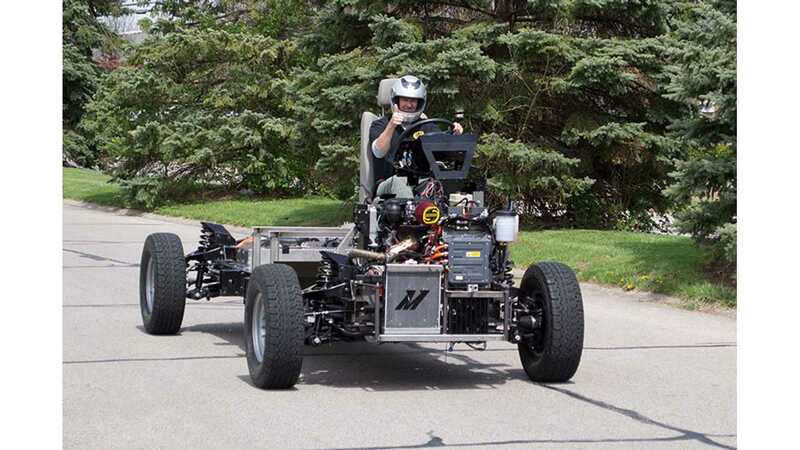 Workhorse started as AMP back in 2007 as a company that converted gas-powered vehicles to electric drive. The company acquired the Workhorse brand – and a chassis assembly plant in Union City, IN – in March 2015 as part of a shift to building its own vehicles for UPS. It also wants to make EVs for the USPS. 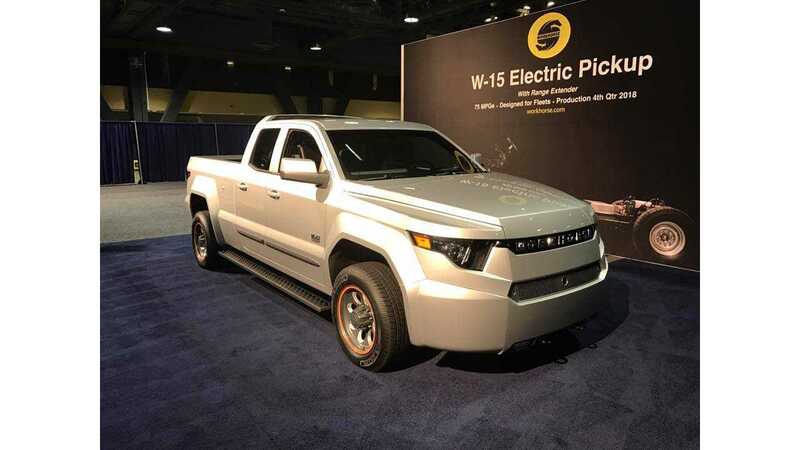 Workhorse revealed its W-15 Electric Pickup at the Advanced Clean Transportation Expo in Long Beach, California a few weeks ago. The most important numbers to keep in mind here are that the PHEV gets 75 MPGe, has an 80-mile all-electric range thanks to a 60-kWh battery (67 percent of which is usable), and 460 horsepower. All that for an expected price tag of $52,500, before incentives. It would be an impressive feat to get a truck like this to customers by the end of 2018, which is when Workhorse wants to start production, beating the competition to the punch. 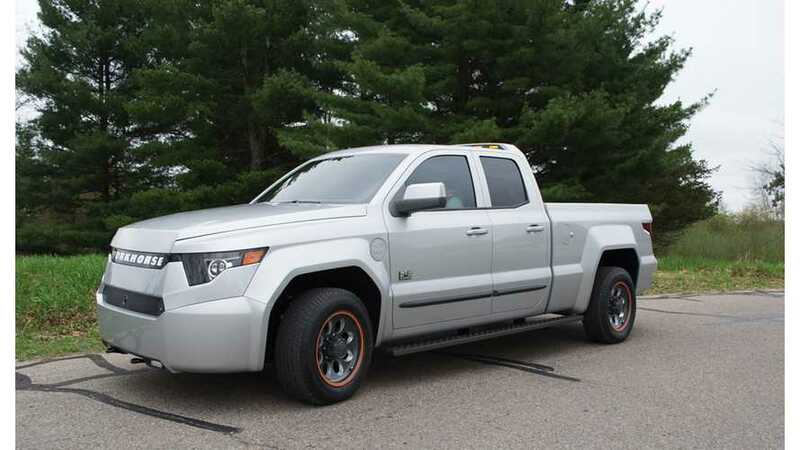 In fact, emails from Workhorse claim, "The Race for the Electric Pick Up Truck is Here." Converting gas-powered vehicles to electric drive doesn't make sense, it turns out. Workhorse is going to do full crash test certification for the W-15. Yes, people like the handling and 0-60 time of this pick-up truck. Detroit has a big role to play in making the W-15 real. IEVs: Every time I've checked in over the years, it seems like an electric truck is a little further along. Now, of course Tesla wants to get into electric pickup trucks too. Your truck is a range extended one, but what else makes Workhorse and the W-15 different from what we've seen before and why is it going to work this time? SB: I think the closest people have come to an electric pickup is VIA, and VIA was started to convert a Chevy Silverado. I think when you first met us, we were converting Equinoxes or Saturns. A conversion model is just a difficult model to make work but the reason everybody converts is because being an OEM is such a high bar. It's very expensive to be an OEM. So people say, "I'll take something that's close and I'll convert it." But what happens when the frame cracks in 10 years and you converted a Ford, let's say, and Ford's going to say, "Well it cracked because you put this heavy battery pack on it. That's not our fault," right? 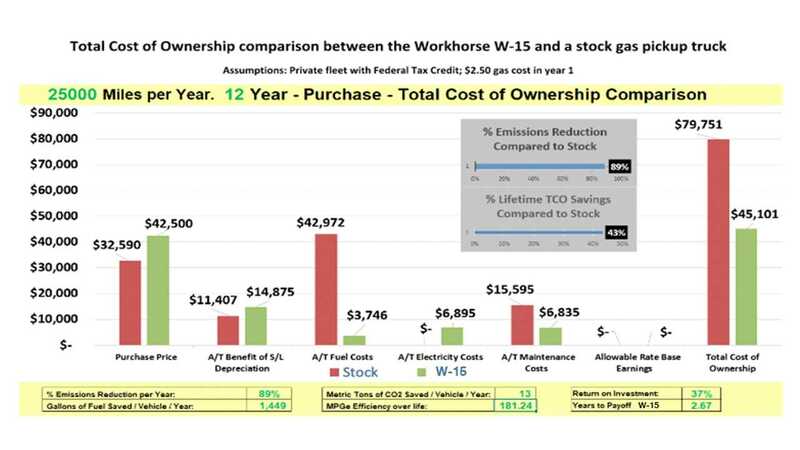 What we discovered with our UPS trucks is that you can prove to a fleet manager that your vehicle is less expensive than a gasoline or diesel counterpart. Usually, we don't sell to consumers right out of the gate because they don't say, "okay, I'll pay more for this truck with it's initial purchase price, and I'm going to keep it for 10 years and in 10 years with the purchase price, 10 years of fuel, 10 years of maintenance, what's my all-in number?" That's really what fleets look at. We could save UPS or a company like UPS about $160,000 per truck over a lifetime. Without any government vouchers, it still makes economic sense. Our goal is to be known as the electric truck company that caters to fleets. That's why we arrived at a hybrid, or a range extender. What we did was, same thing we do with UPS trucks. We put a battery in there that should cover them for 360 days a year, but once in a while something weird happens, like it will be minus 20 in Chicago or there's a hurricane in Charlotte and all the Duke trucks have to head for Charlotte from other cities. By putting a range extender in there we're able to tell a fleet that they will always complete their mission. Most days you run all electric and you get 75 miles per gallon equivalent, but you know the truck will do anything you ask of it. What people expect of a modern day pick up truck is essentially it can do anything. Anyway, if we crunch the numbers with a battery pack big enough to tow, haul, and have over more than just 200 miles range, it would just be too big and expensive and heavy. We put electric motors in that are big enough to tow and haul, we put a pack in there that gives you 80 miles on a normal day, but let's say now you've got 2,000 pounds in the bed and you're towing a 5,000 pound generator. You're not going to get 80 miles on all electric, but on that rare day they are more than happy if the gas engine has to turn on and take in. It's against the religion to put gas onboard. But our only religion is making fleets happy and if we have to have an insurance policy in there so they feel comfortable, then that's what we do. IEVs: What does it take to get you to the start of production, from financing and vehicle tuning to other things? SB: It's an orchestrated dance between engineering, suppliers, and the regulatory environment. The next step is to get validation vehicles, or pre-validation vehicles on the road, so we'll have to be in Canada with cold weather testing, then to the salt beds. One thing that might be a little different with us than Silicon Valley folks is that we're in the Midwest and as opposed to saying, "hey, we're a new kind of car company, we don't want to involve any rust belt thinking or old school thinking from Detroit," we're embracing Detroit. There's a lot of Detroit vendors that are helping us here, especially with the carbon fiber stuff. 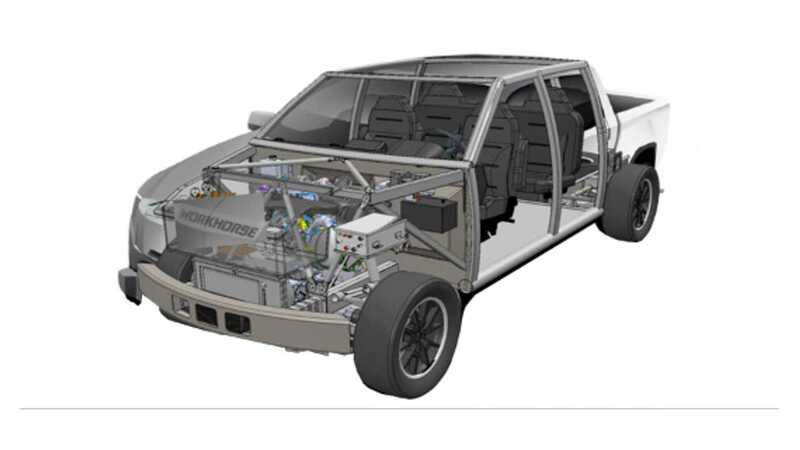 What we had is, from the get go, is A, we had to design this so it can be built in our existing factory, and B, even the UPS trucks are basically a body on rails, body on chassis, these are uni bodies, and the pick up truck is the same way. We designed it from the get go so that it could be built at our existing factory, which dramatically reduced costs. It's really quite remarkable, our body parts will come from a Detroit company, all painted. If you look under the roll cage that the passenger sits in, that's all carbon fiber and composite. It comes to us in one piece. You don't have to dip it in anti corrosion material. It's quite remarkable what we've saved by going composite and carbon. As far as traditional up front costs, we'll have a stainless steel chassis and a carbon fiber everything else. Well, there's a little steel in there, like in the door; even though the door is carbon fiber it has a steel band in there. We didn't want to reinvent everything. The size of the bed, the size of the cab, we didn't want to mess with that. We kept the outside parameters. One spec that seems to get everybody excited, and when we had the ride and drives at the LA show, everybody wanted to feel a pick up truck do zero-to-60 in 5.5 seconds. It handles like no other pick up truck just because you've got that battery low like that. We've got a huge crumple zone up front. The reason we want to beat the market is we think we have a two-to-four-year lead here and we want to establish the brand and get enough miles on the road and enough customers and really kind of establish us as, "if you want an electric truck, you know this is the company that specializes in that." IEVs: You've got all of those organizations that have sent you thousands of letters of intent. What do those actually mean? Are they just saying, "if you can produce this based on these specs we will buy them"? SB: There's one more: we will buy them at this price. We knew it would be attractive, of course, but we really wanted to make sure because we are charging more than a regular pick up truck. Now when I say that, there's a lot of people that pay $50,000 for a pick up truck. But at that $50,000 you'll probably get leather and chrome and some niceties. Fleets, when they buy, it's usually very bare bones. Fleets aren't paying $50,000 for pick up trucks so it's the exact same scenario we had with UPS. I mean UPS doesn't even put air conditioning in, they keep it very tight. We learned that fleets will pay a premium for something if it makes their costs lower. IEVs: Do you have a number of how much more capital you need between now and the start of production? Do all of these letters of intent give you some kind of cushion or because they are just letters you need to go now to investors and say, "we need more"? SB: Investors or strategic partners or the government – there's a lot of government loans for this type of thing. You know, Tesla and Ford and Nissan got big government loans to do this type of thing – all those sources of capital want to know the same thing: "Do you have a customer base that will buy these if you build them?" That's the hardest thing to prove and that's what pre-orders do, then the next thing is do we have the chops to do it? A concept vehicle that performs and looks pretty close to the production vehicle helps a lot. IEVs: I know that with some smaller auto makers, things like crash testing are not required like they are for the big OEMs. What is the plan for as far as having it pass all of the regulatory requirements? What are things that you need and what are things that you don't need? SB: No exceptions, we're not going to apply for any exceptions. Because the numbers we're at, our orders have already exceeded the limit, so we're going for full certification. Again, that's why I talk about Detroit. Folks from Detroit are really knowledgeable about these things. For example, crash testing. You hope to model it in software and really refine it in software, and only have to crush a few to make sure that they line up with the software algorithms. There are decades of that experience in Detroit. It's remarkable how close they get. Take a trip down memory lane with this video of Burns speaking at the 2010 New York Auto Show. The Q&A transcript was lightly edited for clarity.